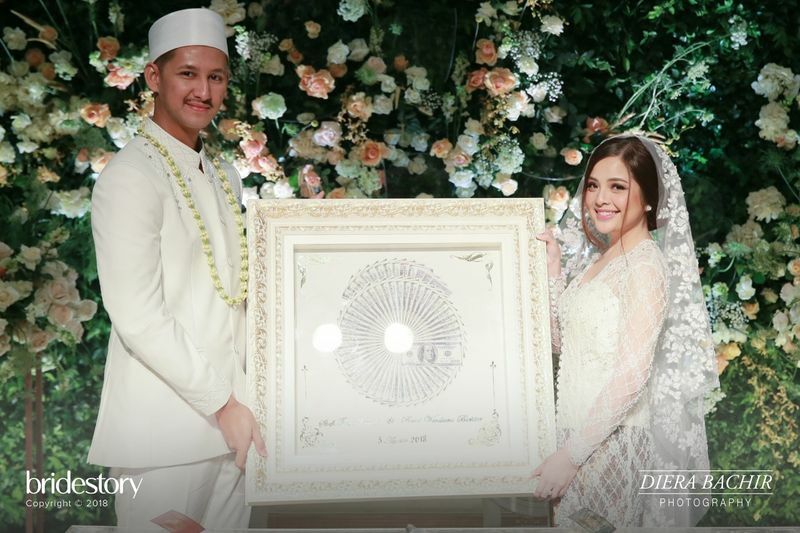 Other than being a mandatory gift in a Moslem marriage, a dowry or more familiarly called a mahr is a symbol of the groom's love for his bride. 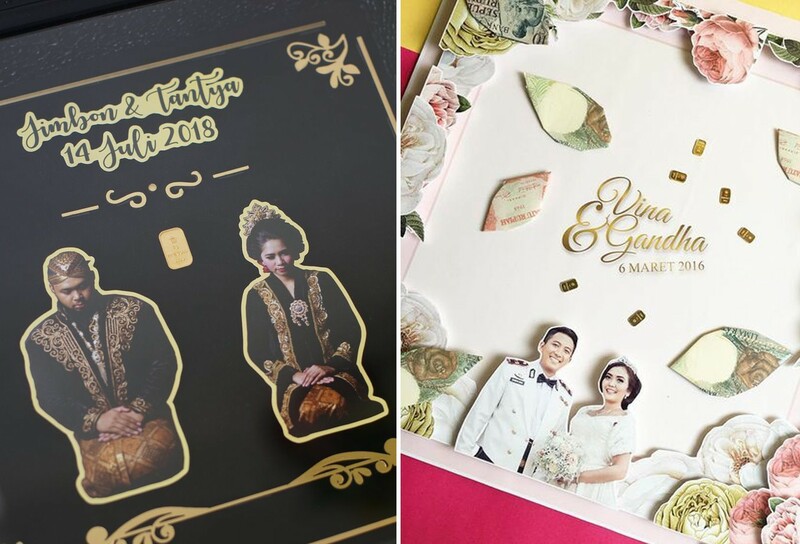 Since your mahr will always be spoken during the solemnization, this wedding element will receive everyone's attention who witness the sacred momentum. 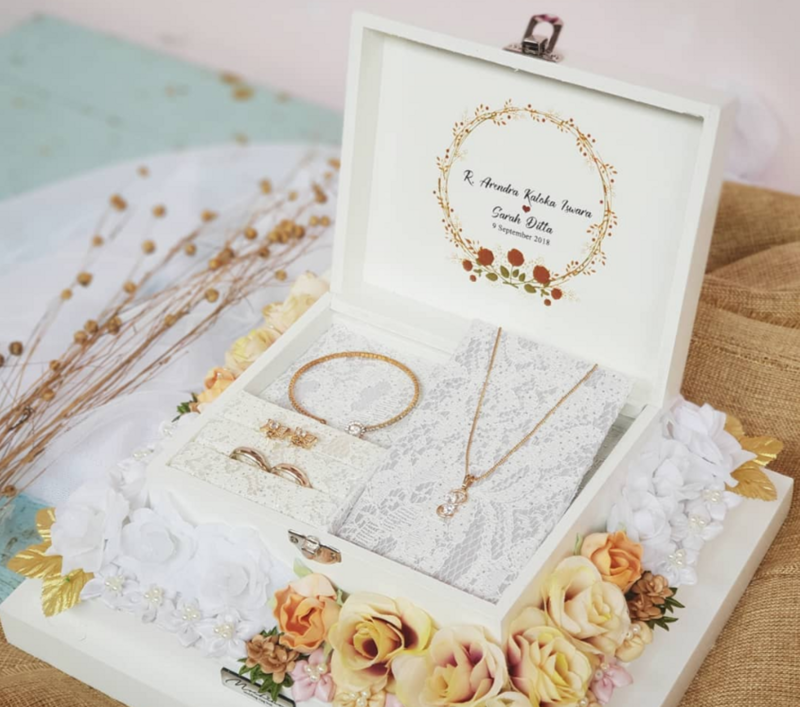 For that reason, every couple would like to decorate their wedding dowry and have it arranged in such a way to make it more memorable. Scroll the slideshow below and find the wedding dowry that suits your character and spouse-to-be. 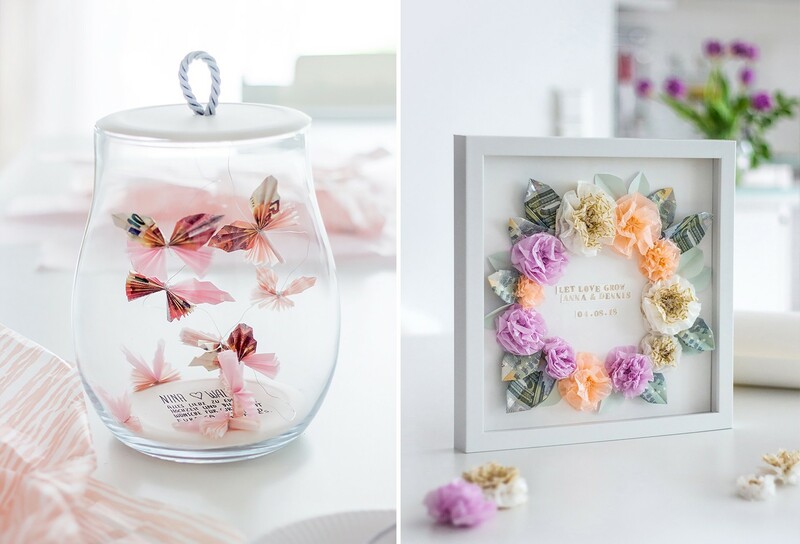 Apply your paper folding skills that is known as origami to your own wedding dowry. Look for a frame that can load the pop up creations as above. 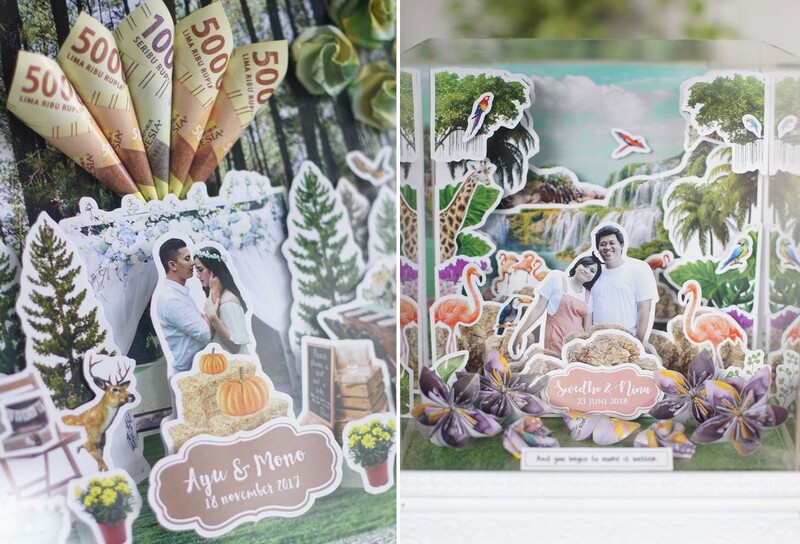 You can also add photos with your partner and design the content with the scenery on printed paper. Don't forget to add your wedding date for a more personal touch. Just like the previous idea, but this time it involves simpler origami techniques in two dimensions. If you present fine golds as a dowry, choose the nominal with suitable size so that it can be placed inside the frame. Don't you know that you can also craft a more personalized dowry? Especially, for couples who work in the same fields or share something in common. How about a wedding car decorated with flower ornaments and empty cans? 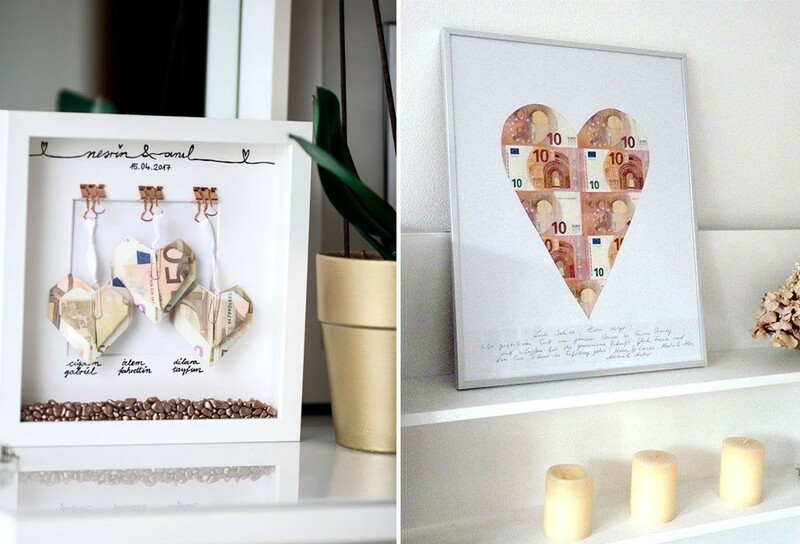 You can make such idea at home without requiring a lot of money! A marriage is a faithful promise of two people who connect all their hearts. So, it is very common to give a dowry designed in the form of a heart to the bride, right? If your future partner likes something beautiful, look for a dowry idea that can represent the feminine character like the two ideas above. 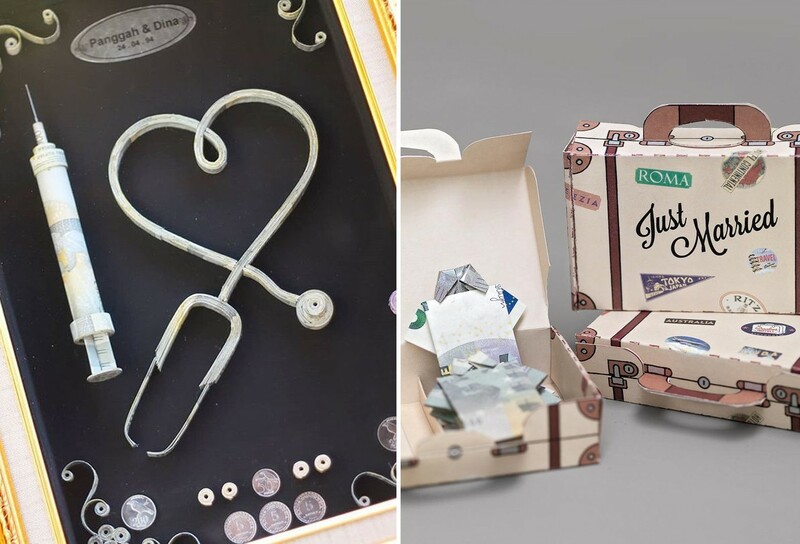 Couples who want a classic and timeless arrangement of their dowry should consider this idea. 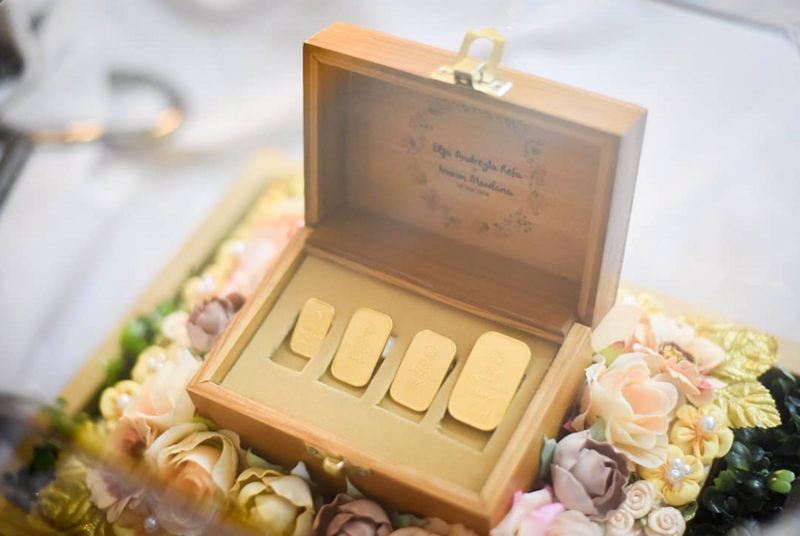 Try to display the dowry inside a box with a carve of the couple’s name and wedding date. 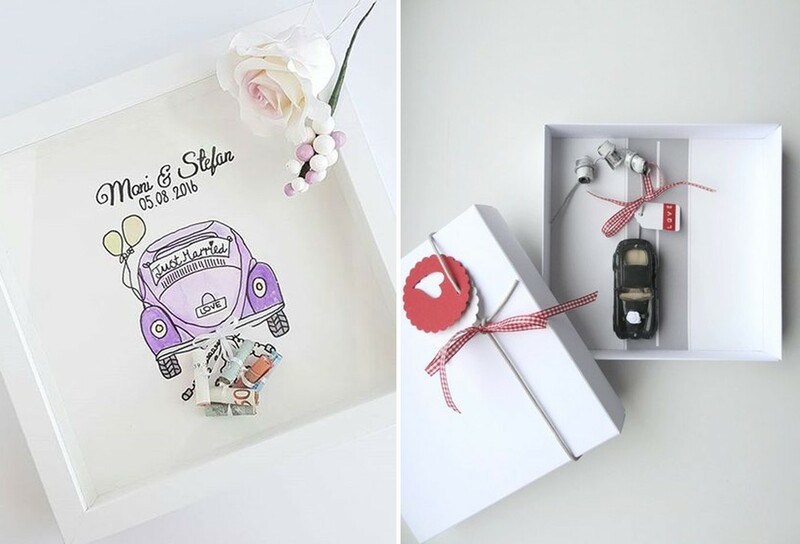 Then, decorate the outside of the box with beautiful flowers that can also be adjusted to your wedding theme. Still in the similar concept as the previous slide, but this time you can apply it for jewelry set. With a variety of box designs available on the market, find the one that suits both preferences. Out of all the wedding dowries above, which one caught your attention the most? We'd also love to know your wedding dowry ideas, so leave us some comments!